Scottsdale, Ariz., – (June 13, 2016) Winning one of the industry’s most prestigious awards two times in a row is a rare honor, with only three percent of companies receiving it more than once. Digital Air Strike™, the leading social media and digital engagement company, has won its second Red Herring Top 100 North America Award, presented recently in Newport Beach, California. Digital Air Strike was recognized for its disruptive and innovative social marketing and consumer engagement platform that has become the largest and most used in the automotive industry and has now achieved significant success in other strategic markets. 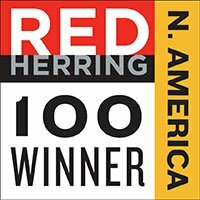 The Red Herring Top 100 North America Award recognizes outstanding entrepreneurs and promising companies. Winners are selected from approximately 1,200 privately financed companies in the U.S. and Canada. Digital Air Strike’s co-founder and CEO, Alexi Venneri, presented the company’s innovative solutions at the event. The Red Herring 100 Awards are considered one of the technology industry’s most prestigious honors. Digital Air Strike is among only three percent of winning companies that have won more than once. Digital Air Strike won the Red Herring Top 100 North America Award in 2015 and went on to win the Red Herring Top 100 Global Award later that year. It was one of only two companies serving the trillion-dollar global auto industry named a Red Herring Top 100 Global winner. Since 1996, Red Herring has kept tabs on up-and-comers. Red Herring editors were among the first to recognize that companies such as Facebook, Twitter, Google, Yahoo, Skype, Salesforce.com, YouTube, and eBay would change the way we live and work. 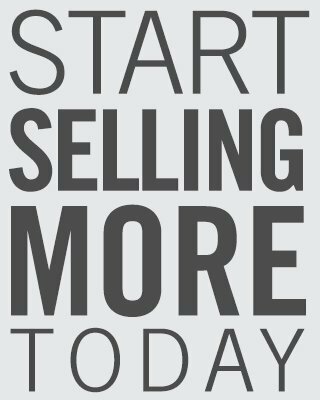 Digital Air Strike is the leading social media and digital engagement company that helps clients solve the problem of consumer engagement in digital and social environments while generating measurable ROI. A pioneer in digital response, social marketing, and online reputation management, Digital Air Strike has developed industry-specific mobile apps, software and managed service platforms to monitor, improve and manage consumer engagement for thousands of businesses, including six of the largest auto manufacturers, across the United States and Canada. Digital Air Strike is ranked in the top third of all Inc. Fastest-Growing Private Companies in the country; named the 2016 #1 Social Media Marketing Firm, won the 2015 Red Herring Global and Red Herring North America Top 100 awards, won the 2015 People’s Choice Award for Product of the Year, is one of the Top 10 Most Interesting and Innovative Automotive Companies, and was awarded the #1 Dealers’ Choice Award for Reputation Management. More information is available at www.digitalairstrike.com and www.facebook.com/digitalairstrike.